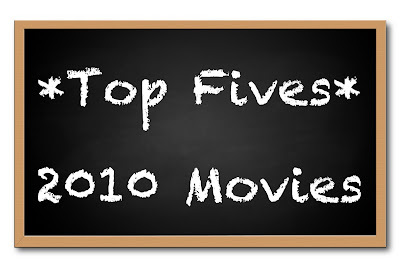 Top Fives: 2010 Movies – my books. my life. In the interest of full disclosure, I don’t get to the movies that often and I always feel painfully behind the times whenever I watch an awards show. But I’m going to share with you my favorites anyway. There was a lot of hype about The Social Network. At least 43 people told me how amazing it was before I went to see it. I figured there was no way it could live up to that hype. But it did. It really was amazing. It was thought-provoking, funny, and completely engrossing. All surrounding this intangible Thing that has become a part of our everyday lives. As my husband said when we left the theater, can Aaron Sorkin please write the script to my life and David Fincher direct it? Best Harry Potter movie yet? I think so. It tracked the book well, remained interesting despite some rather boring parameters to work in (camping, camping, camping), and somehow managed to make me fall in love with Harry Potter even more than I already had. Aside from one scene (the Harry/Hermione vision of Ron’s) I thought it was near perfect. Even at midnight on a school night. There might be some recency effect going on here because I just saw this one last weekend, but I REALLY liked it. It was creepy in a way that I normally wouldn’t like (I do not like being scared at all) and if there hadn’t been ballet in it, I would have passed. But the ballet drew me in. Swan Lake is such a fantastic story and to see it reinterpreted and incorporated into this movie was fascinating. The acting was suburb, especially among the supporting cast. And while I’ve seen some digs regarding the actual ballet, I believed it (thanks to some fancy camera work, I’m sure). Again, my list is a little predictable with its inclusion of Inception. But it was kind of a crazy-awesome movie. It was original and took a decent amount of mental focus to follow. Good acting, good directing, visually stunning. And what an ending, right? I was twelve when the first Toy Story came out. I remember going to the theater to see it and being so late that I had to sit in the front corner and strain my neck the whole time. But I fell in love with Toy Story then and it continues to this day. I may be 27, but Toy Story 3 moved me just as much as the original did 15 years ago. Woody, Buzz, and the rest of the crew are always welcome in my life. What were your favorite movies of 2010? I read about Black Swan in Entertainment Weekly and thought it looked like it might be good. Now I’ll have to see it for sure! I saw and LOVED 4 of the 5 movies you listed. 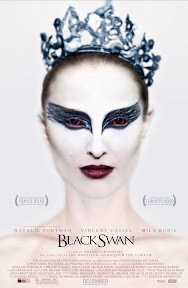 I’ve been hesitant to see Black Swan because it looked so creepy, but it sounds like I may be able to handle it. Thanks! 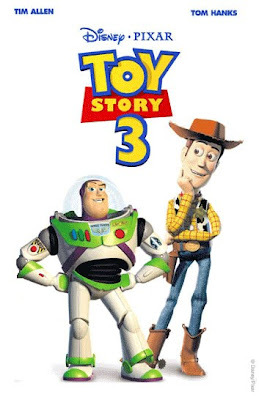 I didn’t realize there was 15 years between the first and third Toy Story’s! Great movie choices.. I can’t wait to see Black Swan! I also loved HP7 and Inception. I loved the ending of Inception–it was so “What just happened? !” I love Toy Story, but I haven’t been a huge fan of the sequels. But, then again, I’m not usually a fan of Disney/Pixar sequels–not sure why. I’m really excited to see several of these! I just got screeners of three of the five from a friend of mine in LA. I can’t decide where to start. You think you’re behind? Try having a two month old! We used to love to go to the movies but now it is a rare treat, like when the grandparents visit. The only one I’ve seen is Inception and it’ll be on my favorite list tomorrow. Wonderful list Michelle! 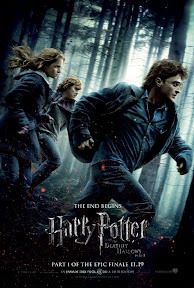 I have seen only ‘Harry Potter and the Deathly Hallows – part 1’ from your list. 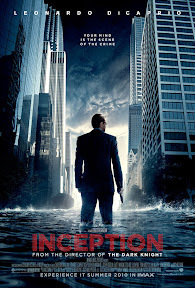 I am planning to see ‘Inception’ and ‘Black Swan’ soon. 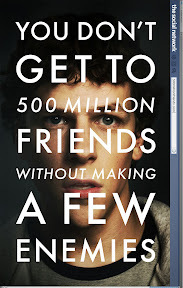 I didn’t know that ‘The Social Network’ was so good. I like David Fincher movies and so I will try to watch this one too.